Hey! I got banned from ParaglidingForum. Does that count? RickMasters wrote: Hey! I got banned from ParaglidingForum. Does that count? Maybe we'll have to make a new category for you. Are you currently banned from hanggliding.org or the Oz Forum? If not, we've got plenty of expertise to help you out. >>Are you currently banned from hanggliding.org or the Oz Forum? I made a bunch of posts to hanggliding.org but they never showed up. Maybe once. I finally gave up. I think it was due to some weird protocol for new members posting. I don't have the patience for that. RickMasters wrote: ... I drew so much heat for Davis that he started religiously consigning my posts to what he termed "The Cesspool". He did the same thing to me when I was running in the 2010 USHPA Regional Director recall election. Bill Helliwell (my opponent) was doing his best to NOT answer questions or enter into any debate. So when I posted questions for him to challenge his positions, Davis removed my posts and put them into a special "debate" forum (not in the main forum) where Bill never posted (I guess that's Davis's idea of a "debate" ). So to anyone observing, it was as if I'd never even posted my questions or challenges to Bill. Eventually that special "debate" topic was deleted along with all my posts. So there's no history of what I wrote in the campaign. But all of Bill's comments are there to this day. Jack Axaopoulos ("sg" on hanggliding.org) has done even worse. 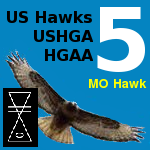 Go look at "torreyhawksforum.org". That was a site that Jack supposedly created for our club (the Torrey Hawks). Everything was fine until a few people became critical of how Jack was operating the HGAA. That's when he went nuts and locked down the entire forum. But just locking it down wasn't enough. Jack went a step further and defaced the entire forum, changed my posts, and falsely accused me of committing "voter fraud" in the HGAA election. Please go there and take a look at what he's done to our club's forum. I've tried to give Jack some time to "cool down", but after nearly a year of his rampage, I strongly recommend that NO ONE should EVER put Jack Axaopoulos in any position of trust ... ANYWHERE. This topic hasn't been updated since 2011, so I'm posting to give it a bump and to update it. If you've been banned from a forum (or know of people who've been banned from a forum), please post the details here so we can keep track of bannings in our sports. was banned from the OZ Report. Yeah. The juvenile nihilists over there could never figure out who Joe was. Why and when was Mike banned? If he was, he's not anymore.